Whether or not you speak the language, Portugal is the place to be if you want to find an undiscovered European destination. Enter Coimbra, a university city that was once a capital. Today the town remains the location of one of Europe’s oldest academic institutions. 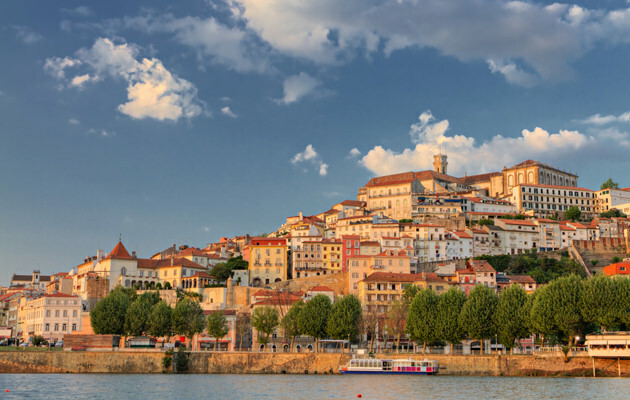 Coimbra is located near Porto and Lisbon, offering close proximity to two of the bustling cities in Portugal. One of the highlights of Coimbra is the awesome festivals the town hosts each year. For example, if you are in the area during May, anticipate being a part of the Burning of the Ribbons, or Queima das Fitas. This festival lasts for eight full days and is a huge part of the end of the school year celebrations for students and families alike. Another popular tradition is Festas da Rainha Santa that is held each July and includes fireworks displays and parties in the streets. Fado music is traditionally played in Coimbra in the many bars and cafes that dot the city. Additionally visitors most frequently tour the ancient cathedrals of Coimbra.